It’s common for parents to worry if their baby is getting enough breastmilk and putting on enough weight. In fact, one of the main reasons why mothers cease breastfeeding is due to a concern about their supply. It’s important to rely on the reliable signs, and not the unreliable signs, to determine if your baby is getting enough breastmilk. One of the reliable signs is if your baby is gaining enough weight. In Australia, regular visits with your child health nurse (where your baby gets weighed as part of the visit) can help you keep track of your baby’s weight gains. Here are 5 commonly asked questions and answers about baby weight gains. #1: What Growth Charts Should Be Used? Answer: It’s recommended the World Health Organization growth charts be used to monitor the growth of children from birth to 5 years. This is because these were developed based on a breastfed population and hence portray a rate of growth within the biologically normal range. #2: Do Formula Fed Babies Put On Weight Differently To Breastfed Babies? Answer: Yes. In the first few months, formula fed babies tend to grow more slowly than breastfed babies. Thereafter, formula fed babies tend to grow more rapidly than breastfed babies. 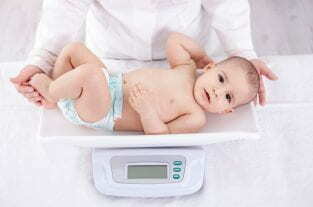 It’s normal for a baby’s weight gains to vary from week to week. Some weeks she may put on a small amount and other weeks a larger amount. It’s more informative (and reliable) to look at a baby’s weight gain over a period of 4 weeks rather than weekly to find an average weekly weight gain. #3: How Much Weight Gain Is Enough? Answer: It’s normal for babies to lose weight in the very early days after birth before starting to put on weight between days 4 and 6. Find out more about early newborn weight loss. These are general guidelines. Check with you health care professional for a thorough assessment if you are worried about your baby’s growth. #4: What If There’s A Concern About Baby’s Weight Gain? Genetic factors. If your baby’s biological parents are tall and slim, it’s less she’ll end up short and plump. Your baby’s feeding practices. Is your baby removing milk well from your breasts? If not, a lactation consultant can help work out why and make suggestions about how to improve this. Also, is she being fed according to need or to a schedule? Scheduled feeding can reduce how well a baby gains weight. What your baby looks like. If she looks like she ‘fits’ her skin and has even skin colour and good muscle tone, these are good signs. Whether your baby is meeting developmental milestones. If your baby is doing this, it’s less likely she’s undernourished. Your baby’s output (i.e. poos and wees). If your baby has a good output, it’s less likely she is undernourished. Other growth measurements such as length and head circumference. How do these compare in relation to your baby’s weight gains and genetics? How/when previous weight measurements were taken. 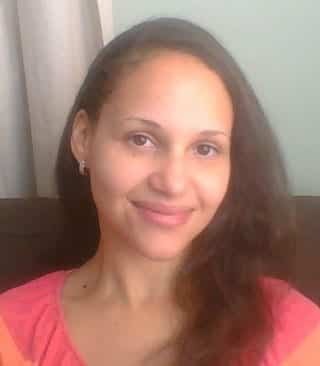 If they were taken soon after a breastfeed, they could result in a larger measurement. If they were taken soon after a large poo, they could result in a smaller measurement. If there were not taken by the same person on the same set of scales, it’s more likely for discrepancies to occur. #5: Does Your Baby Need To ‘Stick’ to a Percentile Line? Answer: Most babies don’t remain on the percentile line they were born on. It’s common for changes (including shifts in percentiles) in growth to occur in the first 2 years. One study showed only 12% of babies remained on the same weight percentile on which they were born, 60% showed an upward and 28% a downward crossing. After birth, it can take from 6 months to 2 years for a baby’s growth to stabilise out and follow along a same percentile line. After 2 years they then follow this line, more or less, though still with some variations. A child’s growth is sharply heading towards crossing two major percentile lines. A child’s growth is above the 90th percentile or below the 10th percentile, or crosses these percentiles. A flat growth line or a sharp incline or decline in a child’s growth line occurs. Hopefully you now have a better understanding of baby weight gains. If you are concerned about your baby’s weight gains, seek advice such as from a lactation consultant, your child health nurse or doctor. My baby girl is 7.5mnth old.her birth weight was 3.25kg.and now 6.8kg.is she underweight?how can improve weight gain.plz suggest.